Madie Hall Xuma was a woman of the world, whose life began and ended in North Carolina. 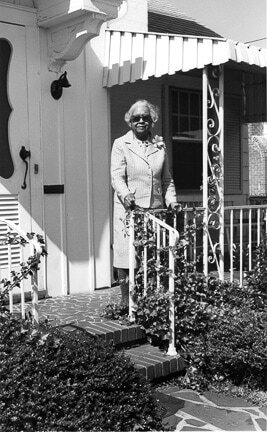 The daughter of Winston-Salem’s first black physician, she was educated at Shaw University, Winston-Salem Teachers College (present-day Winston Salem State University), and , when she was forty-three years old, at Columbia University, where she met a widower, Dr. Alfred B. Xuma, of Johannesburg, South Africa. Her marriage to the man who became the first president of the African National Congress and their lives in Cape Town during apartheid challenged them both to make of their marriage a force for Good. Madie Hall Xuma founded a YWCA that continues today as one of the strongest members of the worldwide organization. After Dr. Xuma’s death in Madie Hall Xuma returned to live out her years at home in Winston-Salem, where she quietly remembered her life in South Africa, where she was called No m’Bantu, Mother of the people.